Tax deductible donations can be made through Paypal by clicking here. There are many things taken for granted in this world: personal health, general happiness, a supportive family, and long-lasting friendships to name only a few. However, we ask that you not add to this list, the devotion and dedication of time freely given to our community by the Members of the Kensington Volunteer Fire Department. In 2015, more than 135 Volunteers provided over 50,000 hours of service manning apparatus and responding to your calls for service! Many more thousands of hours were spent in training and drilling to maintain the necessary skills. This level of commitment shown by the Volunteers is made possible by the generosity of those who have previously contributed donations and those who continue to do so. Emergency Medical Technicians, Paramedics, and Firefighters are not good at asking others for help but even a small donation goes a long way and we ask you to be as generous as these tough economic times allow. Every dollar counts. Volunteers began protecting our community on October 26th 1899, following a devastating fire, with the founding of the Kensington Fire Company and we ask that you help us with continuing this American tradition of service. 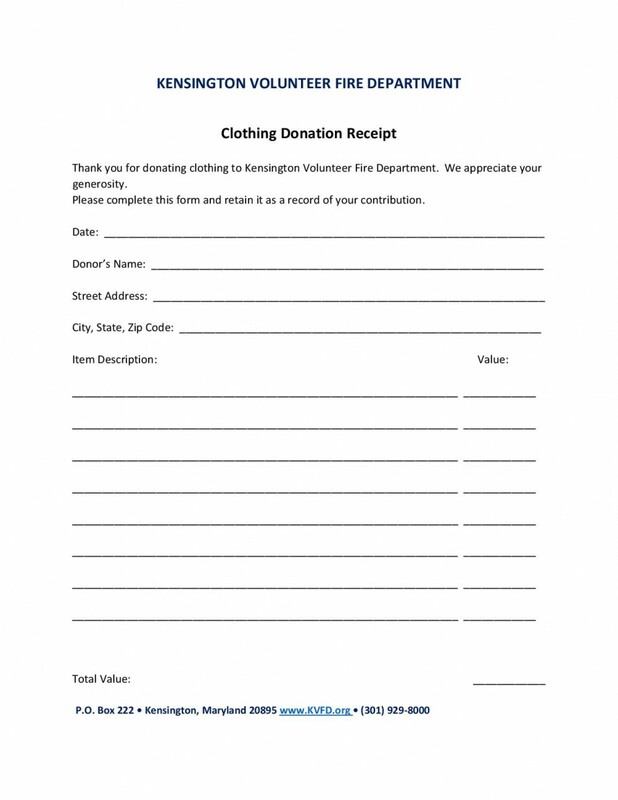 The Kensington Volunteer Fire Department is a non-profit 501(c)(3) corporation so your donation is tax deductible. Tax deductible donations can be made through Paypal by clicking here. If you prefer to send a check, please make it out to "Kensington Volunteer Fire Department" and mail it to Kensington, Volunteer Fire Department, P.O. Box 222, Kensington, MD 20895. Additionally, we have partnered with Amazon and their Smile donation campaign. If you shop using http://smile.amazon.com/ch/52-0580314, KVFD will receive a portion of the sale!